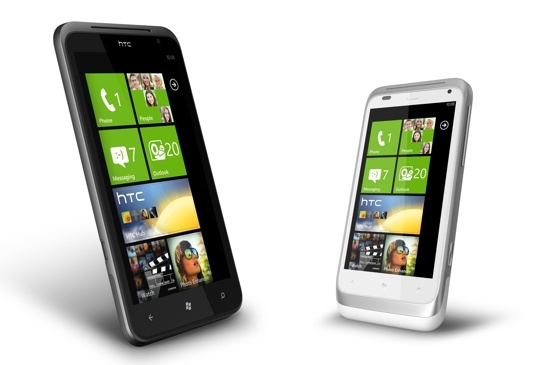 HTC's pair of impending Windows Phone handsets have gone on sale in the UK ahead of time. The HTC Radar and Titan - the company's first push into WinPho 7.5 Mango - both went on sale this weekend at Phones 4U after the retailer received their stock a little early. The HTC Titan features a 4.7in display and an 8Mp camera, drawing on the power of a 1.5GHz processor. The HTC Radar on the other hand, packs a 3.8in touchscreen, 5Mp cam and runs from a 1GHz processor. The Radar can be picked up from Phones 4U on a £23.50 monthly Orange contract, while the Titan will set punters back £30 per month. Is there nowhere corps won't try and sell you stuff?